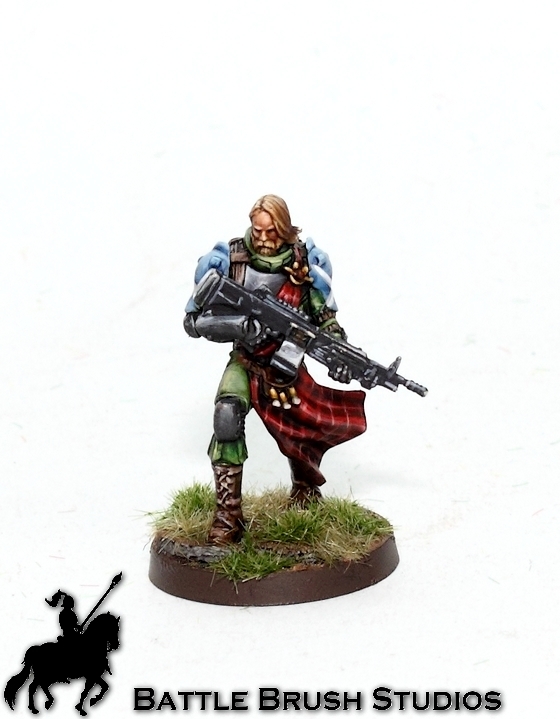 Just a little one-off figure there - an Infinity miniature again, and I think the first Ariadna figure I ever painted. The colour scheme was requested to be along the lines of the box art. Had a good time painting this one. I couldn't go all-out on the figure, but he'll do for a gaming piece. What do you think? I think you are being far to modest.